That's right. No more funky glasses to wear when you want to watch a 3D movie or play a 3D game. 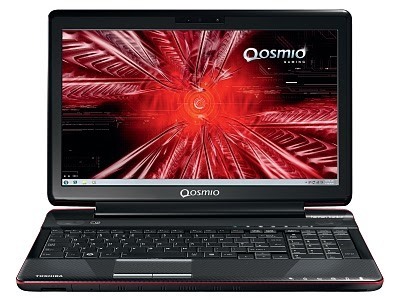 Toshiba throws them away with their Qosmio F750 notebook—"the world's first glasses-free 3D laptop"—and its 15.6-inch lenticular lens screen, which sends different images of slightly differing perspectives individually to the left and right eye of the user, the key word here being "user". This is not something you can watch 3D flicks on with your pals. You can't, because there's a very precise viewing angle you need to be at in order to enjoy the three-dimensional content. But don't worry—you're not going to get a stiff neck from not moving. The integrated webcam tracks your eye movements, adjusting the 3D effect to your exact position. This eye-tracking technology is said to work pretty well, the only problem dealing with the 3D content on-screen playing catchup. The awesome 3D capabilities isn't the only cool thing about this laptop. 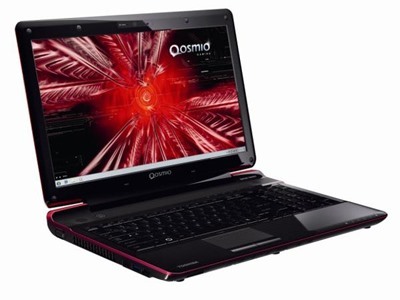 Just like the previously announced Qosmio T851/D8CR, the Qosmio F750 is capable of displaying a combination of 2D and 3D images on the screen at the same time. The F750 3D has a full HD (1920 x 1080) glasses-less 3D display, along with some familiar features: HD webcam, Intel Core i7 processor, NVIDIA GeForce GT 540M graphics card (up to 2GB), 640GB (5400rpm) SATA hard drive, 6GB DDR3 (1333MHz) RAM, 3 USB 2.0 ports and 1 USB 3.0, Blu-ray XL drive, Wi-Fi 802.11 b/g/n and Bluetooth 3.0 + HS. Though geared towards businesses, professionals and designers, it's sure to land in the hands of some very curious consumers. What do think of the F750 3D? Will it live up to the hype or embarrass itself right off the shelves? If you're not ready to ditch your current notebook for a 3D one, you could instead try out the Pic3D special film, which turns your 2D laptop into 3D.